If you do not wish to vote at this time, click here to visit BlizzardPets stats. 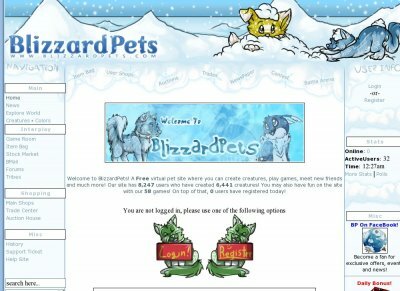 Welcome to BlizzardPets! A Free virtual pet site where you can create creatures, play games, meet new friends and much more! You can train your creatures, buy/sell items, play a TON of games, or even chat in the forums. Our active community will make you feel like home. What are you waiting for?